GALATASARAY are still on the ball with their winning ways as they defeated Göztepe F.C and increased their points. The two met during the 19th week of matches in the Turkish Spor Toto Super League. Galatasaray F.C now has 35 points. Galatasaray and Goztepe clashed on Saturday while Fenerbahce was up against Evkur Yeni Malatyaspor. Today league leader, Medipol Basaksehir will face Kasimpasa. Galatasaray scored in the second-half through Sinan Gümüş, overcoming a determined effort from Izmir’s Göztepe. In the 72nd minute, Gümüş picked up a loose ball that fell from defender Lumor Agbenyenu blocking a strike by Brazilian Mariano. The win left leaves only three points between the Lions and Başakşehir, who are on 38 points. 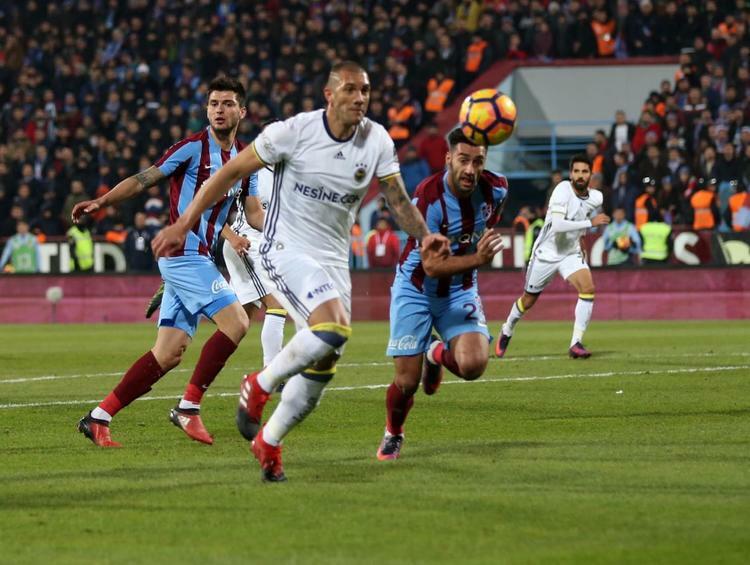 In another match, the four-goal thriller that was officiated by Bülent Birincioğlu, Gökhan Memişoğlu and Erkan Akbulut Balıkesir Baltok saw Balikesir humiliating Eskişehirby 3-1. Balıkesir goals were netted through a brace delivered by Kethevoama in the 17th and 45th minutes and by Glumac scored the other in the 35th minutes. İbrahim Halil Öner recorded the solitary goal for Eskişehir in the 21st minute. During the match, yellow cards were shown to Eskişehir’s Bedirhan Altuntaş and Cemali Sertel while Kethevoama and Sedat Şahintürk got on the referee’s book for Balıkesir. Meanwhile, Beşiktaş, known as Black Eagles played against Akhisar and whipped them with three goals to zero. Following a decision taken by the Professional Football Disciplinary (PFDK), Akhisar has defaulted by including thirteen foreign footballers in its team. Excitement is still raging on in the 19th week of the Super Toto Super League. The leader Medipol Basaksehir played against Kasimpasa and won the game 2-0. Another match of the night was between Fenerbahçe F.C and Evkur Yeni Malatya Spor. Istanbul’s Fenerbahce eventually could beat Y. Malatyaspor 3-2 and could overturn a stroke of bad luck as it crawls at the bottom. At the last match on Monday Ankaragucu faced Alanyaspor. Though Ankaragucu played at home in the new stadium, the guest Alanyaspor scored two goals and won the match 0-2. Turkey’s Spor Toto Super League, 19th-week results and standing table.